The night prince is out to collect all his blood gems! 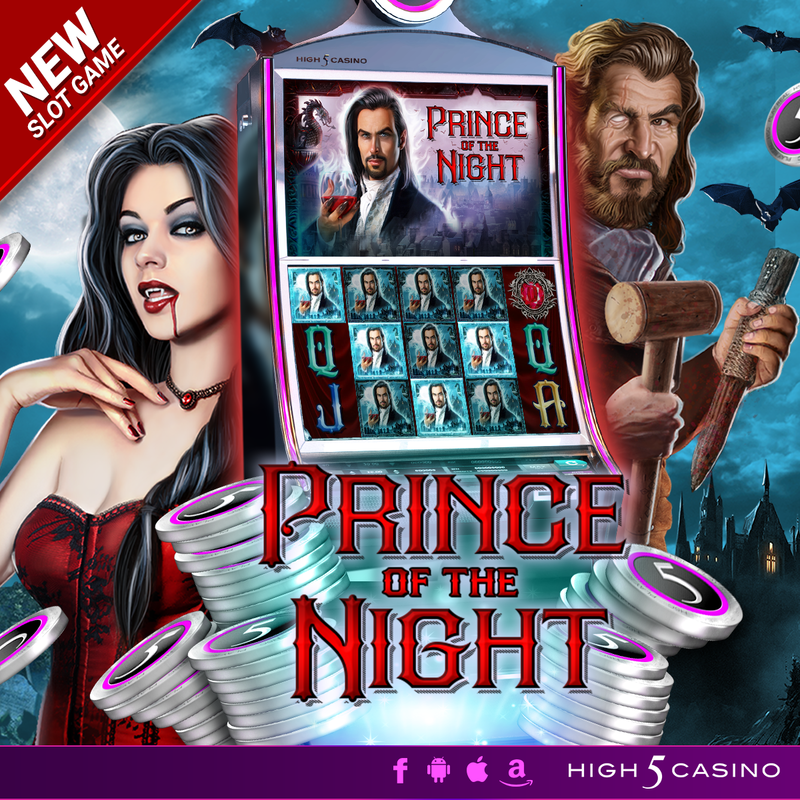 High 5 Casino’s 224th game, Prince of the Night, arrives soon! Paris is under the Transylvania Effect! With the full moon out at twilight, the Prince of the Night is wandering freely about the town. Help him collect all his blood gems! You may just run into the slayer or the lady of the night. Be lead to the Prince’s bonus chamber for a bloody prize. Prince of the Night. 3 by 5 reels. 50 paylines. Super Symbols, Free Games, and the Blood Gem Bonus. Check the YouTube video below and get ready seek out all the blood gems! Are you ready roam twilight with the Prince of the Night? Comment in the conversation bubble located on the top right corner of your screen and let us know what you think! This entry was posted in Coming soon, game preview, Game Release, High 5 Casino, High 5 Games, High 5 Moments and tagged Android, App Store, Apple, Blood Gem Bonus, Facebook, Free Games, game preview, Game Spotlight, Google Play Store, High 5 Casino, High 5 Casino Mobile, High 5 Games, iOS, iPad, iPads, iPhone, iPhones, mobile gaming, Paris, Prince of the Night, Shake the Sky Casino, Shake the Sky Casino Mobile, slots, social gaming, Super Symbols, Transylvania by hoothigh5. Bookmark the permalink. Is there a reason why I’m not getting my coins when I go into the Poker side of High 5? This has been happening for the last few days. It’s only $700.00 every four hours, but when you are always broke it helps a little. Hello, Please contact the Support Team via the High 5 Help Center for assistance. It can be found by clicking on the gear-shaped symbol leading you to the ‘Settings’ menu at the top right hand corner of the casino and then choose ‘Help’. You can contact our Support Team for assistance there by simply clicking on the ‘Submit A Request’ button at the top right hand corner of High 5 Help Center. Fill out the form and a customer care representative will email you as soon as possible.